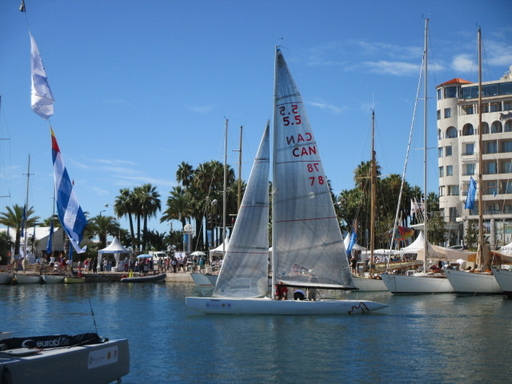 John Lister reports, that the Canadian Sailing Federation has given the go for sailnumber CAN 78, to be used for the French Open in Cannes, in September. A big welcome to John Lister & Crew in Europe and Thanks to the owner of the boat for giving this opportunity. After having raced many years with "Choc", a 1960 Classic, the crew became owner of a Muir/Lexcen designed Evolution boat, GER 75 "Above the Line". Now, it is on to the next design progress, with the purchase of SUI 191 "Phénix", now GER 81. A Modern, next?